Clth, 9.5 x 11 in. / 238 pgs / 280 color. 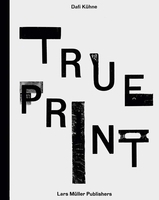 “Playfulness, allusiveness, irony and a willingness to experiment—in other words, imaginativeness—that became the distinguishing trait of Italian advertising communication, for which European or American posters of those years were no match…"
Text by Dario Cimorelli, Anna Villari. This fascinating, abundantly illustrated book delves into the evolution of Italian advertising and fashion posters, showing how social developments and economic expansion were reflected in commercial art. 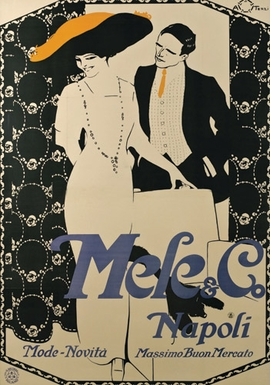 Advertising served as an ideal vehicle for fashion, as seen in the dreamy fin-de-siècle ladies drawn by Aleardo Terzi in his posters for the Magazzini Mele in Naples. The splendid elegance of these images reflects the ambitions of the country’s newly ascendant bourgeois class. As advertising came into its own as a powerful means of information and propaganda, posters and magazines became fertile ground for adventurous creativity. It was here that the greatest artists, illustrators and fashion designers of the day displayed what they were capable of. Above all, the works presented in this publication chart how Italy developed a sense of itself, coming to understand its place in the modern world. 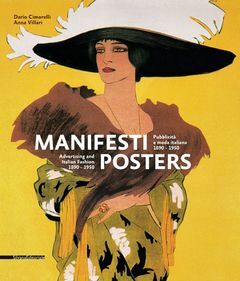 This was a time of rapid expansion for Italian fashion, an era when Italy and its distinctive cult of style were projected internationally as the very essence of “la bella figura.” Among the illustrators featured here are Umberto Brunelleschi, Cornelio Gerenzani, Amedeo Bocchi, Marcello Nizzoli, Giorgio Federico Dabovich, Marcelo Dudovich and Gian Emilio Malerba. 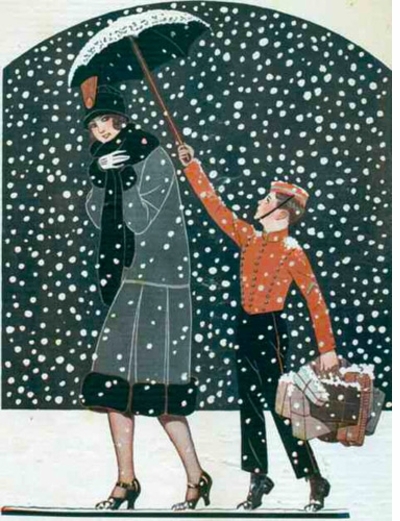 Featured image is reproduced from Posters: Advertising and Italian Fashion, 1890-1950. FORMAT: Clth, 9.5 x 11 in. / 238 pgs / 280 color.